Ok so I've been a bit inactive recently. 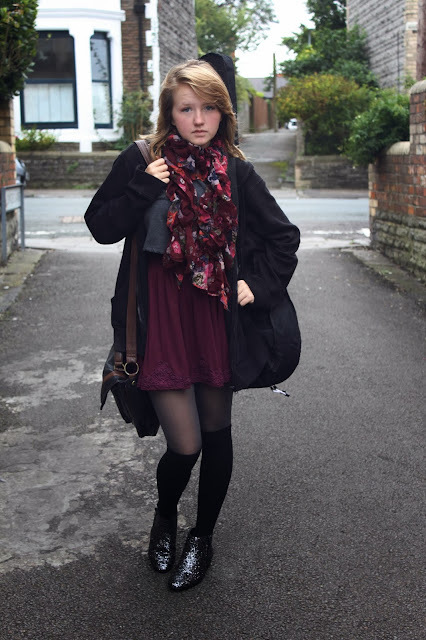 I was supposed to go out and take pictures with Lizzie today but it was my sisters birthday so I couldn't really... But I managed to get some pictures on Saturday when me and Tom and some others went round a friends to jam (I was mostly just being ignored as I played the piano). Before you ask no I can't play the guitar. I've had it for like a year and a half now and took it in the hope that maybe someone would teach me how to use it but no one did .n. I will learn, I will. I haven't learnt because I've never found the time and I can't get formal lessons because my mum is paying for my Piano and Japanese atm and those are my top priorities. I would love to learn though. We didn't get many picutres though because Tom was ill and just wanted to get inside (he also had his bass and very heavy amp so I don't blame him for not wanting to stop for long). So in love with this skirt, it's a bit shorter than I usually like but it's so pretty and such a nice colour. I also love these boots and can see myself having some fun making coords with them (not to mention they were a bargain at £13.50). Nice outfit, love the colors. Lvoe the colors in this outfit! Omg i love this! It's the perfect fall ensemble! Awe, you're adorable. I love this outfit on you! The lace details on your burgundy dress is so lovely. Oh wow!! Such an amazing look <3 I really love the colors together!! Loving your blog, followed you via bloglovin! And i will keep reading! So cozy and admirable! Love it! gorgeous skirt, love the color. 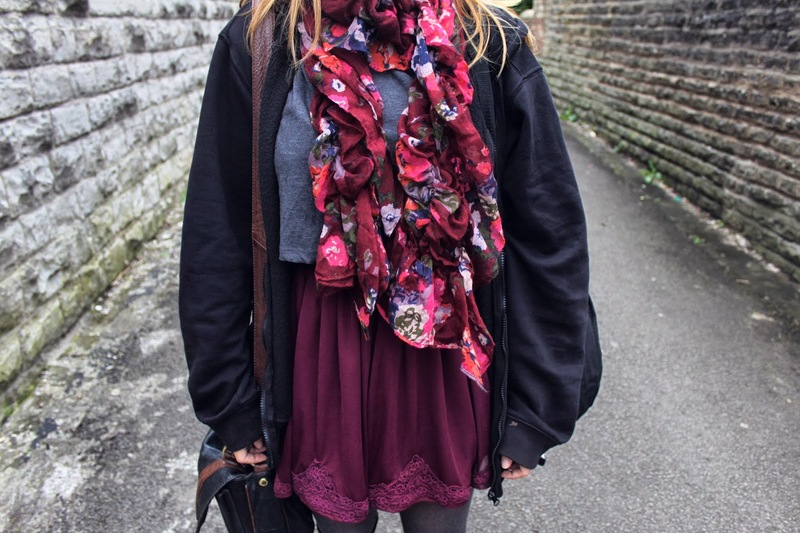 pretty scarf as well and i really like the colors within your whole outfit. Love this outfit, so autumnal! You look awesome! 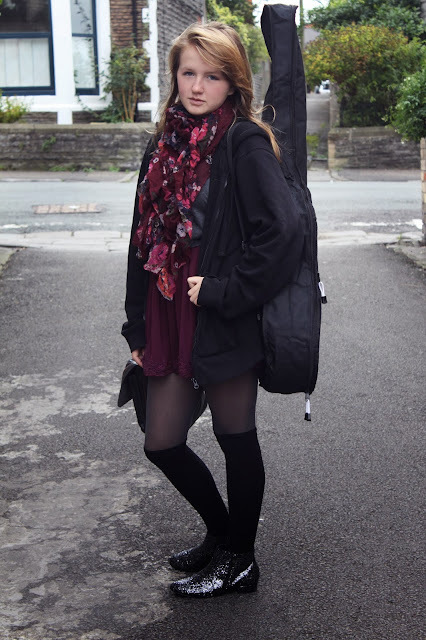 Love the knee high socks, and this must be the first outfit post I've seen with a guitar, and that can only be a good thing!